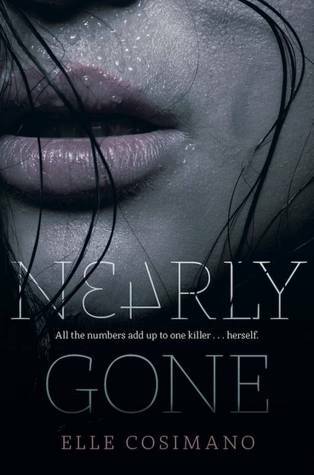 Nearly Gone by Elle Cosimano was an AMAZING read. I loved, loved, loved it! The science nerdy references made me all giddy inside, and the mystery kept me guessing the entire time. If you figure out who the killer is before Nearly, let me know. I will be shocked and will want to bow down in your awesomeness. Nearly Gone is a YA mystery/thriller with a bit of a science and paranormal twist. It’s up to Nearly to solve the mystery. As things escalate, all the clues point to her as the killer. I loved Nearly, even though she did annoy me at times. She was a bit reckless at times running into danger, and I think she was a bit too trusting. Gosh, I wanted to yell at her asking “what are you doing?! ?” so many times. However, she was just a high schooler, and everything she did, she did with a good heart. So I really can’t be mad or dislike her. Plus I adored her nerdy-ness. She really reminded me of some of my fellow science classmates that are super smart but lacked some common sense. Yeah, that was Nearly at times. For all of the other characters and for everything you see, be skeptical. Don’t easily judge anyone. Seriously. I’m still frustrated that I didn’t figure out the connection with some of the clues. Like Nearly, I over thought the problem. Happens to all the good scientists. Should you read Nearly Gone by Elle Cosimano? YES! I highly suggest it. I’m giving it 5 stars! I can’t wait for the sequel. Supposedly there’s an internship in a forensic lab. How awesome is that?!? This seriously appeals to me in so many ways, and I think even non-science nerds will love it! One note before I finish this review. Don’t expect Nearly Gone to be 100% realistic. Everything that happened worked well, in my opinion. Elle Cosimano did a fantastic job making me believe in the story and the characters. However, not everything will translate into real life. Yes, the setting is contemporary and in present day Washington, D.C. metro area, but that doesn’t mean it has to be realistic to no fault. Just keep that in mind, as I think you should with all fiction anyways. Sign into Goodreads to see if any of your friends have read Nearly Gone.